SEOUL, South Korea (July 31, 2018) – KT Corp. (KRX: 030200; NYSE: KT), South Korea’s largest telecommunications company, has launched the country’s first-ever mobile shopping service paired with AR technology. 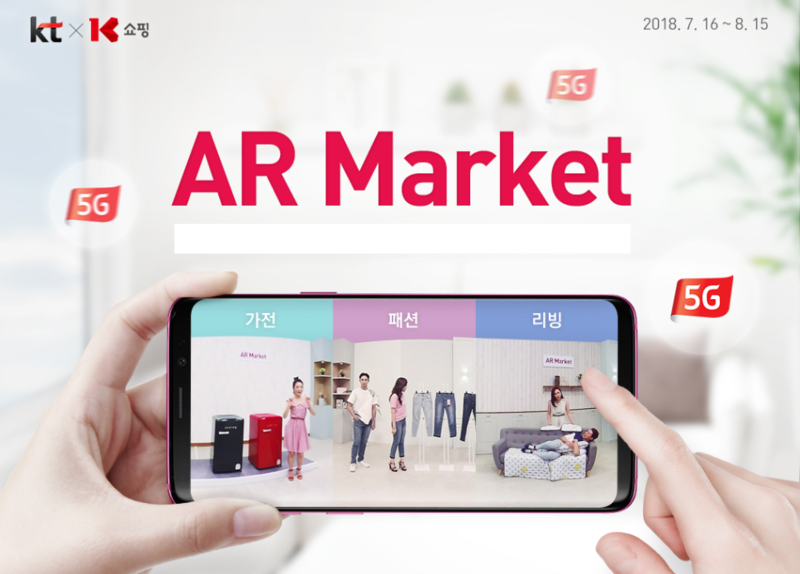 The Korean telecom leader’s new service is called AR Market, which gives mobile shoppers an online shopping experience that is more similar to browsing through a physical store. Shoppers can view 360-degree AR videos of different products on their smartphones and tablets. KT first introduced its AR solutions for mobile shopping during the 2018 PyeongChang Winter Olympic Games in February. KTH Co., KT’s T-commerce subsidiary, launched the first commercial service of these solutions on July 16 through K Shopping’s mobile app. K Shopping, a frontrunner in South Korea’s T-commerce market, is introducing AR Market to provide highly immersive mobile video shopping for lifestyle products, fashion and consumer electronics until August 15. K Shopping plans to run more special promotions on other products with AR Market later this year. NS Home Shopping, the country’s largest home shopping business for groceries, debuted AR Market on July 30 to run through the end of October. The company is also using AR Market for a summer “glamping” event through August, offering camping products for families, couples and friends through the innovative technology. KT plans to continue developing immersive shopping services by applying next-generation information and communication technologies (ICT), featuring not only AR but also artificial intelligence (AI) and 3D modeling. KT will take on more partners for joint services. KT has accelerated its immersive media business since late last year. It launched two VRIGHT (http://VRIGHT.com) VR theme parks in Seoul this year in partnership with GS Retail Co., a major convenience store chain operator in South Korea. KT plans to franchise its VR entertainment business next year both at home and overseas. Models introduce AR Market during a filming session for 360-degree AR video footage promoting NS Shopping’s month-long “glamping” event, which began on July 30.